A tautology is an expression or phrase that says the same thing twice, just in a different way. For this reason, a tautology is usually undesirable, as it can make you sound wordier than you need to be, and make you appear foolish. Occasionally, a tautology can help to add emphasis or clarity, or introduce intentional ambiguity, but in most cases it's best to choose just one way to state your meaning and eliminate the extra verbiage. This is an example of tautology, because the adverb "personally" repeats the idea already expressed in the single word "I". In everyday conversation, the addition of "personally" is used for emphasis to point out that the subject of the sentence is invested in the action, has overseen something, etc. Technically, the word "personally" doesn't add any new information and could be cut from the sentence without changing its meaning. The dog is either brown, or the dog is not brown. This sentence is always true because one or the other must be so. This is different than a statement that says, "The dog is either brown, or the dog is white," because dogs can be black, gray, or a mix of colors. Note that when you put both halves of the logical tautology together, it feels a bit redundant, just like a verbal tautology. A tautology often involves just a few words in a sentence that have the same meaning, or in which one word is part of the definition of the other word. Though tautologies are common in everyday speech and don't diminish clarity, they should be avoided in formal writing so you don't repeat yourself unnecessarily. Remember when 4G cell phones were a new innovation? The evening sunset was beautiful. I need a new hot water heater. Charlie proudly told his mom he made the hand-made scarf himself. The careful, there is a lot of frozen ice on the road! I know it's true because I heard it with my own ears. In Rome, we saw dilapidated ruins. Let's order a hoagie sandwich. Alice started her presentation with a short summary. The school was in close proximity to the explosion. 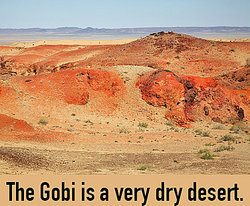 The Gobi is a very dry desert. In my opinion, I think he is wrong. The storm hit at 2 p.m. in the afternoon. The students will take turns, one after the other. Having a drug test is a necessary requirement for the job. They hiked to the summit at the top of the mountain. I'm sorry to hear about your sad misfortune. The hotel room wasn't great, but it was adequate enough. I loved reading Sam's autobiography of his own life. Even the best speakers and writers will sometimes let tautology slip into their work. Politicians are particularly prone to this verbal tic as they speak for hours on end and often give slightly different versions of prepared remarks during many campaign stops. "Smoking can kill you, and if you've been killed, you've lost a very important part of your life." - Brooke Shields. "But the fact is I was napping, and so gently you came rapping, And so faintly you came tapping, tapping at my chamber door" - Edgar Allan Poe, "The Raven"
McDonald's new Zesty Mango McMini is really zesty. The store is giving away free tickets! The World's Greatest Spokesman in the World! Either it will rain tomorrow, or it won't rain. Bill will win the election, or he will not win the election. She is brave, or she is not brave. I will get in trouble or not get in trouble. Mary will pitch a no-hitter, or she won't pitch a no-hitter. As you can see, there are times when the use of tautology is helpful to emphasize a point or to add poetic flair to speech or writing. In most cases, though a tautology doesn't add new information to a statement and should be edited out of your writing. This will show readers that you are in complete command of your vocabulary and don't need to use extra words to make your point. In writing, as in life, sometimes less is more. "Examples of Tautology." YourDictionary, n.d. Web. 23 April 2019. <https://examples.yourdictionary.com/examples-of-tautology.html>.